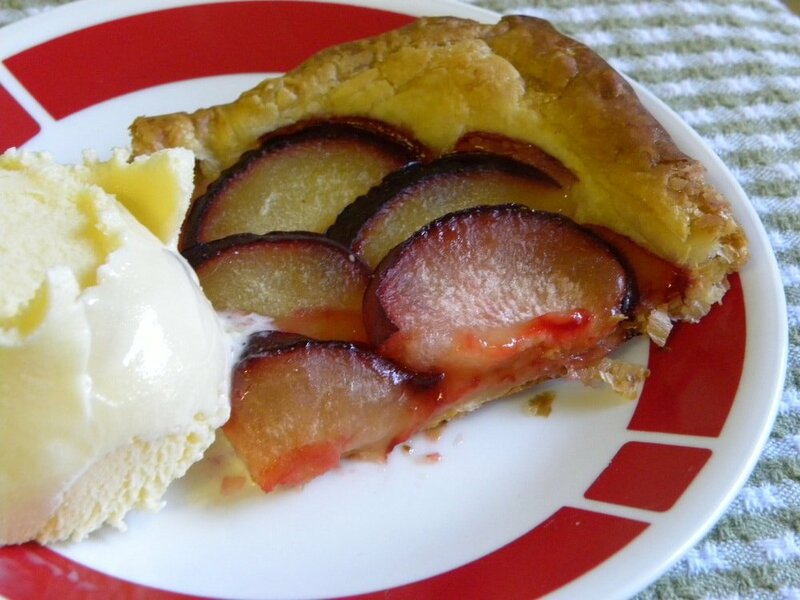 This dessert came to mind since the plums are in season and really affordable right now! This is so simple, yet ….elegant! You could serve this at a dinner party and impress everyone! You don’t have to tell them it only took you 5 minutes to make! Just grab some vanilla ice cream to serve on the side and you have some seriously happy guests, or family members! This came out of the oven and in 30 minutes it was gone! The entire thing. The vultures flew into the kitchen when they heard the buzzer. I had to fight them off for a piece. I am already getting requests for another. 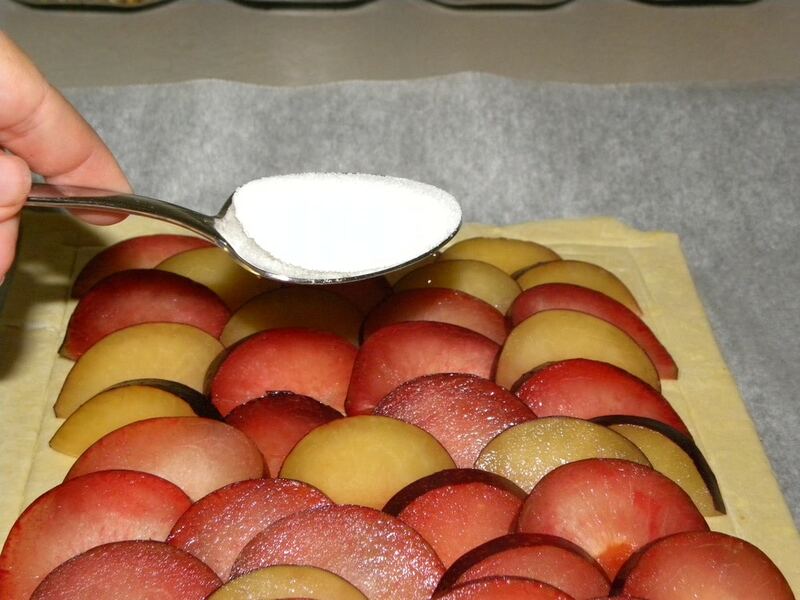 Grab some plums and get baking! 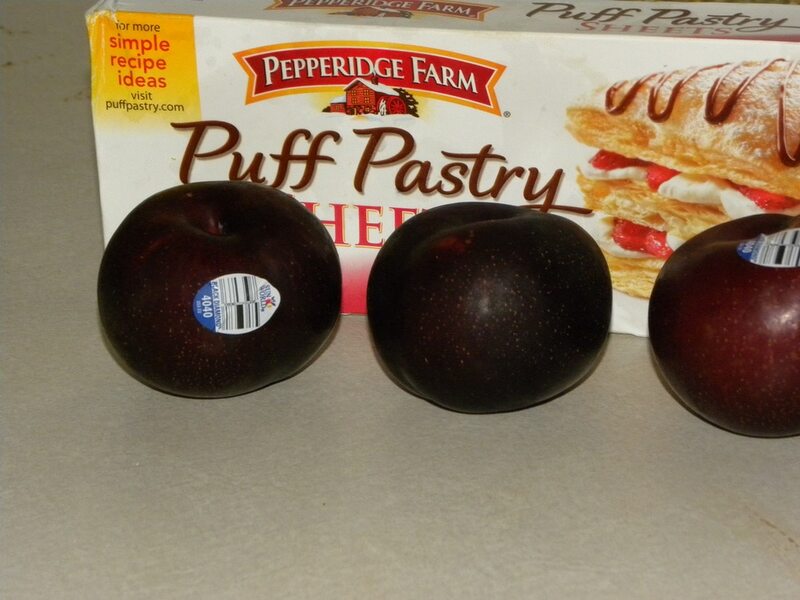 Thaw out Puff pastry dough according to directions. 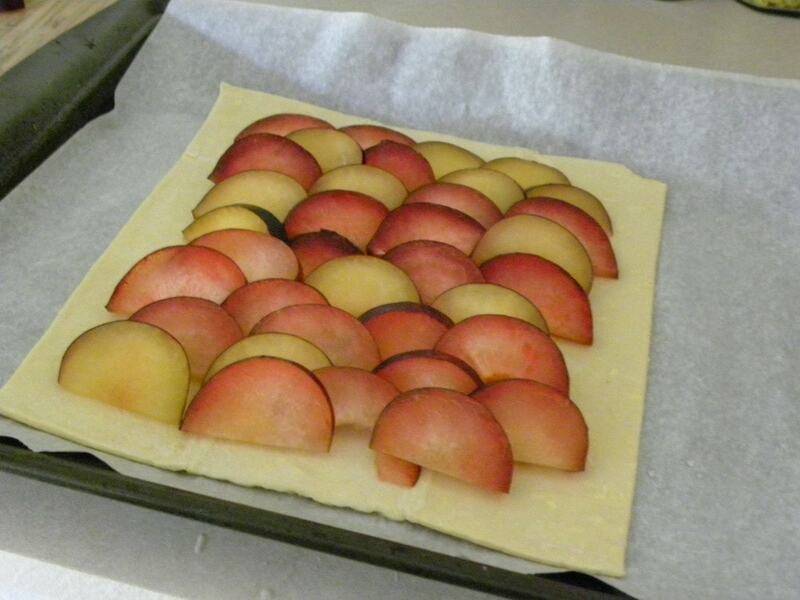 You will only need half a package or one sheet of pastry. 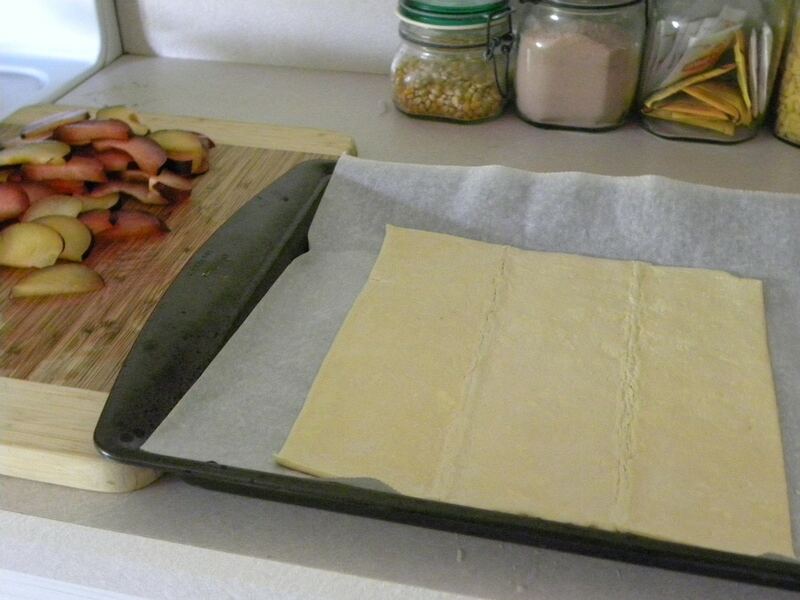 Roll the puff pastry dough out on a parchement lined baking sheet. 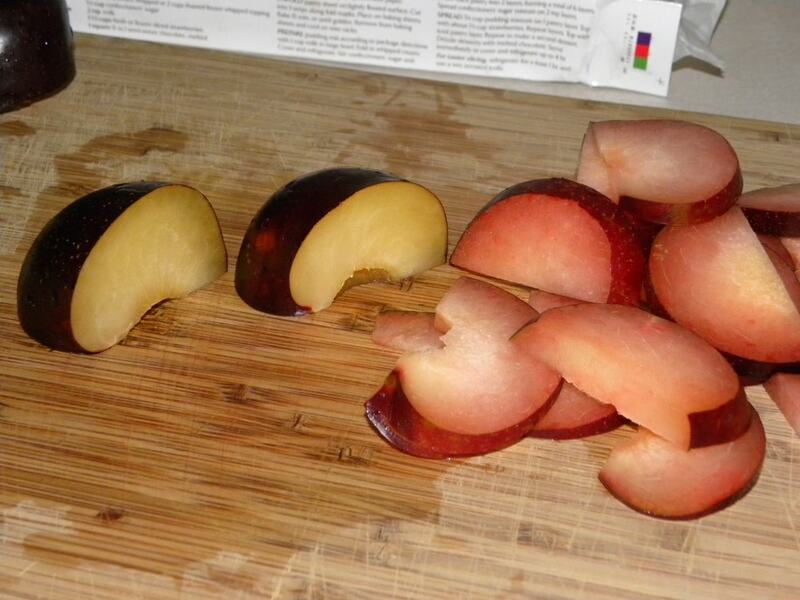 Slice all three of the plums into thin pieces. 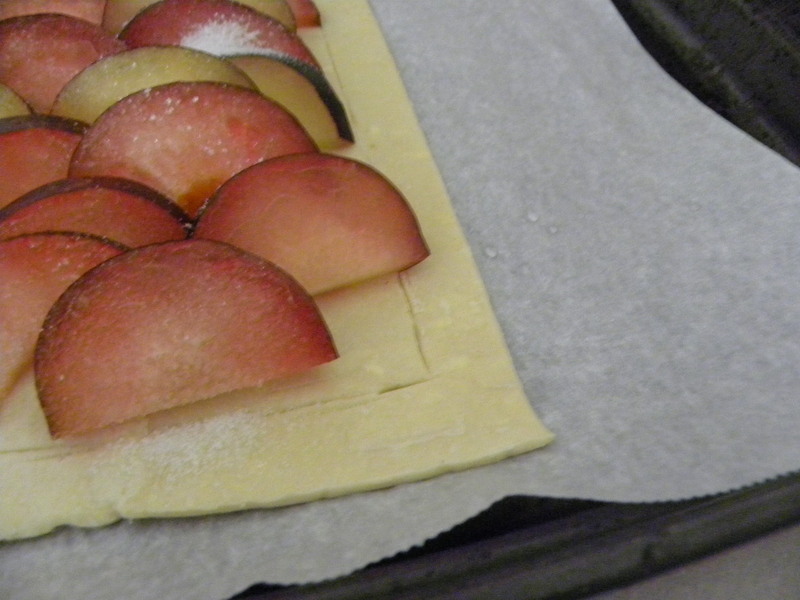 Lay them out onto the Puff pastry. Take a butter knife and make an indention around the outside where the crust would be, being careful not to cut through the dough. 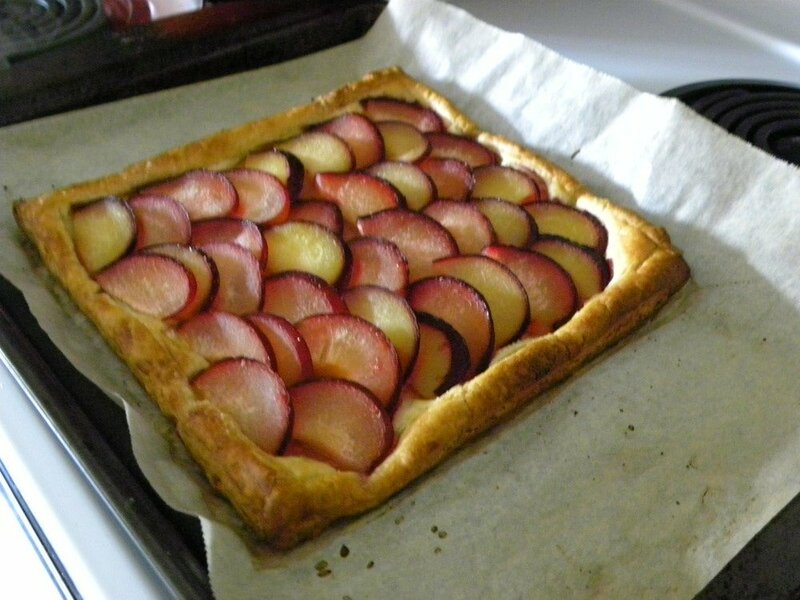 Sprinkle plums and pastry with sugar. Bake at 375 for 20 minutes or until pastry has risen and is golden brown. Serve with ice cream or by itself!